The Crypto Crew Got a chance to talk to Melissa Hovey from American Bigfoot Society . They are the group that released the photo below. It has caused somewhat of a stir among the bigfoot community. ABS had this photo for about 4 years before releasing it. Tom: How long have you been researching or had an interest in bigfoot? Melissa: My interest goes back to when I was a kid in Elementary School. I was quite the book worm and had come across a book (the name I don’t remember) that had a black and white photo of, John Green, holding this enormous foot print. I remember thinking, “that is one big foot print.” As I read further, I became more and more interested. I wondered how something like that could live in our country or anywhere in the world. I wanted to know more. So, I read as much as I could find on the topic. Then a few years later I saw the Patterson/Gimlin film for the first time. Fast forward to 2005, when I moved to Texas, and decided to get out there and look. As an adult, my fascination has changed from the animal itself to the witnesses. I have worked as a Paralegal/Legal Assistant since late 2002. While getting my degree I interned with a Public Defenders office and a Coroner’s office. I have worked with people who simply want answers, outside this field of research, and I find the witnesses to this alleged animal behave and say things that are no different. These witnesses deserve answers as much as anyone. Tom: In your years of bigfoot research, what would you say is the best evidence you found? Melissa: I have found tracks and casted them. But, nothing I would consider rock solid evidence. Tom: Some people got upset because you placed a copyright on the photo, is that all settled now? Melissa: This issue has never needed to be settled. Many are assuming they know what this witness and I have agreed to, even though, they have never spoken with this witness or myself. The American Bigfoot Society and its Directors will always do whatever is necessary to protect our witnesses. If that bothers people in this community, so be it. But, witnesses sure have appreciated the approach we have taken and have said so in countless emails. Witnesses I have never even worked with have contacted me via email to thank me and the ABS for taking such as strong stance in the protection of this witness. We will not change our position or our firm defense when it comes to these people. Tom: I agree with you,we at TCC have taken similar steps to protect people who have confided in us with stories and/or photos. It should be a common rule among researchers to protect the witness. Melissa: In all honesty if I removed the copyright protection does that make the subject of this photo a living and breathing Bigfoot or an absolute hoax? No, absolutely not, and to say it would, is ridiculous. It is our job to protect these people, especially when we can’t prove they’ve done anything wrong, and wish to remain anonymous. To do less is irresponsible. So, when all else fails, blame the messenger or the witness. The uproar, over a non-issue (the copyright) isn’t difficult to figure out when you sit back and actually think about it. If the witness is just fine, why should anyone else care? Unless they are simply trying to start drama where there is none. Tom: What did the person who sent you the photo think about you having the copyright, was they ok with it? Melissa: It’s still in place isn’t it? To me the truth of this matter is very simple. 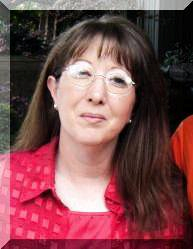 Phil Poling sent me messages on Facebook demanding the personal information on this witness. He clearly stated if I did not comply with his request he would make it appear that I was complicit in a hoax. I refused Mr. Polings demands on March 7th and the first YouTube video went up on March 9th. What Mr. Poling is attempting to do, is not hard to figure out. No amount of threats or intimidation will force me or the American Bigfoot Society to change our position when it comes to the protection of witnesses. While others may not understand why this is being handled the way it is, that’s fine, because it’s not about them. It’s about this witness and his right to privacy, and he does have the right to privacy. I trust the people in this community to be smart enough to figure the game Mr. Poling is playing. Mr. Poling also states we should not work with anonymous witnesses. Just a side note; you better have more than, “I think,” this is a hoax before you put a person’s name all over the internet and accuse them of fraud or hoaxing. “I think,” is not a good enough reason to deny a person’s right to privacy and accuse them of illegal activity. The ability to report something anonymously allows the Bigfoot Researchers to have information we need to continue the investigation of this mystery, while allowing the witnesses to have some peace of mind that their name will not be posted all over the internet along with their home address and other vital pieces of their identity. To me this is a no brainer. But, if this is what some intend to do, others who respect the rights of these witnesses will be happy to pick up the slack. Without witnesses we have nothing to investigate. If it comes down to only field researchers having sightings (because witnesses refuse to talk to researchers) we may as well pack it up, and call this over. If people think Scientists are unimpressed now wait until they hear only field researchers are having encounters. Tom: How do you feel you have been treated after releasing the BF back photo?? Melissa: How I am treated is of no consequence. I saw this coming. I do have to admit the attempted theft of this photo was a surprise. I did not think anyone in this community would sink that low. I have been around this community long enough to know how things like this are received. And we wonder why more witnesses won’t come forward with their photos or video. I feel more for the witnesses who have come to us looking for answers and are now watching as people are demanding any agreements to keep them anonymous be ignored. Now, to top it all off, witnesses will need to be concerned that their photos or videos will be stolen by people within this community. I feel for fellow researchers, some who have been involved in this pursuit much longer than I have, who are telling me they will never release anything to the internet Bigfoot community after seeing the way this witness and this photo have been treated by some. A few bad apples always spoil it for the bunch. I guess that’s true in Bigfoot Research as well. There have been some very good discussions and those people, I and the American Bigfoot Society, thank greatly. 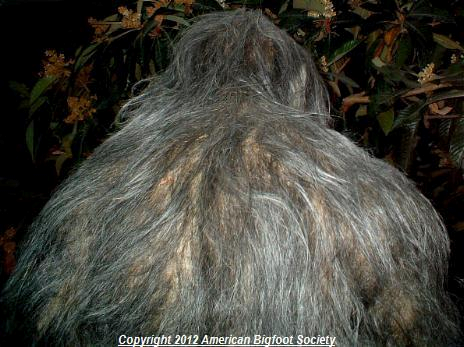 When the American Bigfoot Society released this photo we really did think, within days, someone would come up with a costume or something which would prove this photo a hoax. The idea of the “Clawed” costume being the source for the subject of this photo has been a bust. Other costumes were looked at and also determined to not be a match. So, what are we left with? This could be a hoax, but how it was accomplished is still an unknown. This could be legit, but that is also unproven. Rodney Young has done tremendous work with the hair possibilities. But even if Rodney is right and this hair did come from NFT Fiber, we are looking at the hair alone being at least $2,000.00 (per the NFT price list). It could also be a legitimate photo of a Bigfoot. Who knows? I have no more answers today, than the day this photo was released. This could be a hoax. But, if it is the motivation is curious. What I and others don’t understand is why? People do things for a reason. This witness has asked for no money, and he has been offered no money from myself or the American Bigfoot Society. So, if this is a hoax, I should assume this person spent in excess of $2,000.00 just to fool me initially? This witness has never even asked me if thought the subject of the photo was a Bigfoot, 4 years ago, or now. In the beginning of all this, he told me I could send this photo to whomever I wanted to verify its authenticity or to detect any form of deception. So, what is the end game here? Who is he trying to hoax? I will also add, I sent this photo to Rick Noll within minutes of receiving permission to have the photo evaluated, and this witness still stuck around for a good 3 weeks before disappearing. If this guy is hoaxing, he is an awfully brave hoaxer. But, he may be. Who knows? Tom: Have you seen the uncropped photo of the bf back? Melissa: No, I have not. Tom: I know you may not be able to tell us but do you know what state the BF back photo was taken in? Melissa: At this time I can’t answer that question. This situation is still ongoing investigation. When I can make that information available, I will. Tom: Has the person who sent you the photo ever sent you other photos, either published or not? Melissa: No, he has not. But, he did say there are more photos. Tom: Did you ever think that releasing the photo would cause this big of a stir among the bigfoot community? Melissa: Honestly? Yes. I have looked at this photo for 4 years. I haven’t been able to figure this out. I knew exactly how this community would react. I knew there would be those who would be helpful and others who would attack anything other than the photo. So, I am not shocked at all. I mean lord, look at the conversations about the Patterson/Gimlin film more than 40 years later. There are actually conversations and heated debates over a bent stirrup. Why would this photo be any different? We all say we want a clear image of a Bigfoot. I wanted that clear image. I guess I should have added other things into that wish. Example: I have read, “The hair color is wrong,” and “the skin is too white.” Oh? I had not realized Bigfoot is reported to have only one hair color. Since my involvement in 2005 I have heard about Brown, black, cinnamon, white and grey. I have also spoken to witnesses who describe skin color very close to ours. Not all witnesses describe an animal with black skin tone. It’s as if some are looking for any reason they can grasp onto to dismiss this photo. Maybe they are afraid of what that photo shows? I don’t know. I have never seen a Bigfoot, so I don’t know what one looks like. But, if we listen to witnesses, this photo is not that far off from what some witnesses do report and for some it’s an absolute match to their own sighting. Does this mean I think this photo is a Bigfoot? No not at all. It means many, many witnesses are saying the subject of this photo is what they have reported to have seen or very close. During the time this photo was looked at (prior to public release)and evaluated within the American Bigfoot Society and various experts in specific fields, none of us ever discussed these issues as being the lynch pin for a hoax or this being a legitimate bigfoot. If I am sent the photo of a Bigfoot with purple hair, then I will be concerned with hair color. Some say, the subject of the photo is too clean. Others say it’s too dirty. That’s funny because I have spoken to witnesses who say the animal they seen was very clean or they say it was dirty. Are we really to the point in this that we can judge based on the cleanliness? Others want more photos. I do too, but not even more photos will help determine if this photo is legitimate. Again, look at the Patterson/Gimlin Film. It’s a film. Patty is walking along that Sandbar. Have all those frames helped solve the mystery of what Patty is? Nope and most likely never will. There will always be those who support this film as legitimate, and there will always be those who say it’s a hoax. 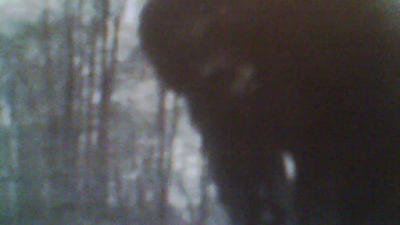 More frames of the Patterson/Gimlin film will never change that. More still photos showing the subject of this photo will never answer all the questions. One specific group of researchers, who have worked very hard at personally attacking me, doesn’t want this animal proven to exist. So, their motivation is clear. But, why not just be honest about why they do not want anyone to assess this photo? Is it because, it is their collective opinion, that Bigfoot should be left alone? They also believe Bigfoot can disappear, talk to them telepathically and can ruin photos of them by making their bodies “vibrate” thus making every photo blurry. I would absolutely expect these people to do whatever is within their power to get people to not look at this photo. Why? If this is a photo of a Bigfoot there goes those theories, especially the one about Bigfoot not being able to be caught on film. I have found over the years it is not only, witnesses and hoaxers, who have their motivations. Tom: Now that the photo has been out a little while, would you have done anything different? would you have even released it at all? Melissa: No, I would not change a thing. I hope this does teach everyone a valuable lesson. This could be a hoax. If this is a hoax and I, or the American Bigfoot Society, had not given other researchers in this community a heads up to this level of a hoax, and it was used for that purpose, I would never be able to forgive myself. We all need to make our own decisions on what we think is the appropriate thing to do with information we are given. Honestly, I spend no time with, “should of, could of, or would of” thoughts. Should researchers keep information about a potential hoax to themselves? When you think about what some are saying, that is the message that is coming through, loud and clear. If I and the ABS had kept this photo quiet and it turned up on the internet, and was determined to be a hoax, what would the community think about me or the ABS if it was discovered we knew this was a possibility and said nothing? I know exactly what would be said. If any researcher reading this thinks they will not be implicated in a hoax, simply because they kept their mouth shut, you are horribly mistaken. Do what you think is right. That is all you can do. If others don’t understand why you made the decision you made, that’s fine, because at the end of the day you have to be able to look yourself in the mirror. If you are doing something, even though you know it’s wrong simply based on peer pressure, eventually it will come back to bite you, especially in this field of Research where people are just waiting for any hint of a mistake or lack of good judgment. Tom: Do you think in general that Bigfoot will be proven REAL to the rest of the world in 2012? Tom: Do you have any other secret photos or video you will be releasing in the future? I do not make those decisions solely. I am but one person in the American Bigfoot Society. Yes, I am the President, but the Directors are a sharp group of people, who are excellent investigators in their own right. Billy Willard, Wayne Larsen, Toby Tollman, Kelly Fain and Mike Frazee, and I comprise the ABS Directors. I make no decisions alone. We have studied this photo for at least a year, and discussed at great length and the decision to take the steps taken. We simply ran out of ideas to explore to help solve this one way or the other. While I am the only person who has exchanged emails with this witness, they too have spent an enormous amount of time trying to help decide the next steps to take to bring this to a resolution. Any future releases, of any potential evidence, will be discussed amongst the ABS Directors. I will add, due to the actions of Phil Poling, the American Bigfoot Society will discuss other options for release of future photos. Don’t blame the American Bigfoot Society. Put the blame where it belongs. Someone else has probably ruined information releases like this photo for the entire community, and the American Bigfoot Society is not alone in our position on releasing any further information like this. This is still being discussed within our Directors. Tom's Final Thoughts: First a big thanks to Melissa and the whole ABS gang. I spoke on the phone with Melissa for a good length of time. She was very open and willing to answer all my questions. I found her very open and honest. She told and showed me some things that I can not and will not disclose and for that I thank her. There should be a trust among researchers and an effort to protect a witness if the witness does not want to have their name published. Melissa also granted me full access to her U.S. Copyright.gov site account, her statements about filing the necessary documents with the U.S. Copyright office, is true, I viewed her account myself. I got to see everything concerning the copyrighting of the released bigfoot photo. She did not hide anything from me. There has been some who have questioned the copyrighting of the photo, which led to the allegations of the copyright infringement by the ABS. Which is why Melissa allowed me full access to her account to settle this once and for all. Read about the infringements HERE . Not offense to you Mr. Poling...just don't want the fighting on my blog. How does one copyright what they dont own? you have to assume that the person who took the photo wanted ABS and Melissa to copyright it to protect their identity and to make sure they keep control of it. This person may be in some type of business or something and it could hurt the livelihood if their name got out or they may just wanted to remain anonymous. Melissa stated that her witness told her NOT to publish it. Why would someone that has something, (evidence), that could potentially be a "game changer" in this field not want it to be published or copyrighted? I can understand wanting one's identity protected, but there are ways to do that & still have evidence presented. When I saw this photo, it greatly reminded me of the creatures that I have seen, in so many ways. I personally don't think this is a fake, considering the amount of time & money that would have to be invested in creating this. I'd like to see what else this person has. Some people don't want bigfoot proven for varying reasons. I know, and the sad part of it is if/when they are proven, they will probably try to sweep it under the rug. I think the people who don't want Bigfoot to be proven are the big companies & the government who want to control everything & they don't want to cause a stir with the environmentalists/conservationists who went looney-toons with the deal about the spotted owls several years ago. Just think of the effects it will have with the religious communities too. It's wrong of us(humans) to think that we are really the only "intelligent" primate walking on two legs. I think it's also wrong to think that there's not intelligent life "out there." I think God would be bored if we were all He had to bless. BIGFOOT THE EVIDENCE ! Free Movie ! Did a UFO cause the Pakistan 737 air crash? Giant Fossil Found - But what is it? New Hampshire Investigation Update ! Who’s Afraid To Go Camping Now? "Throwback" - New Yowie movie in production ! Another UFO spotted in Southeast Kentucky ! Find Bigfoot and get a FREE house! No Joke. UFO Triangle seen in Texas! Boomerang shaped UFO spotted in Kentucky! If Sasquatches Are So Smart, Then Why……?